With the whole of New Zealand fished out of the sea, according to a Maori legend, it is no wonder that the Pacific island country represents one of the finest fishing destination in all of the world. New Zealand is filthy rich with inland rivers and lakes loaded with fish, as well as over 15.000 kilometres of oceanic coastline, providing prime fishing opportunities both for beginners and seasoned angling veterans. Fishing is practically the part of the national culture, and you will have no problems finding excellent fishing spots in any part of the country with a water surface nearby. Fantastic locations are abundant, giving you a perfect excuse for a road trip disguised as a fishing excursion. Before you go, there’s two things to keep in mind. The first is that you must respect the fishing laws, because they are put in place for a reason. The second is a bit of “trip smarts” – always try and find a free transfer car to save a few pennies for a proper fishing extravaganza. Now that you’re set to go, let’s see what kind of water awaits in the Land of the Long White Cloud. 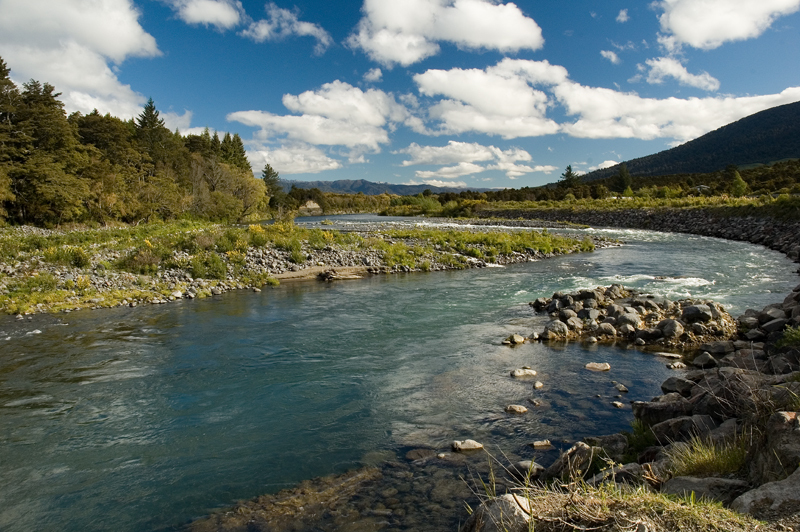 The freshwater offering of New Zealand primarily consists of trout, with a bit more trout thrown in for a good measure. In fact, trout is such a dominant New Zealand fish that not one, but two different towns claim to be the trout capital of the world. And while we would love to see the towns of Turangi and Gore battle it out in a winner-takes-all match for the title of Trout Fishing Capital, it’s probably better to simply enjoy them both for the fishing opulence they promise. Still, if you’d like a bit of diversity in your fishing diet, South Island also offers a number of spots where you can also catch salmon. Obviously, the list of best freshwater fishing spots has to start with the two above mentioned “capitals”. The town of Gore and its Mataura River are world-renowned among anglers, with the prime fishing season lasting between October and April. 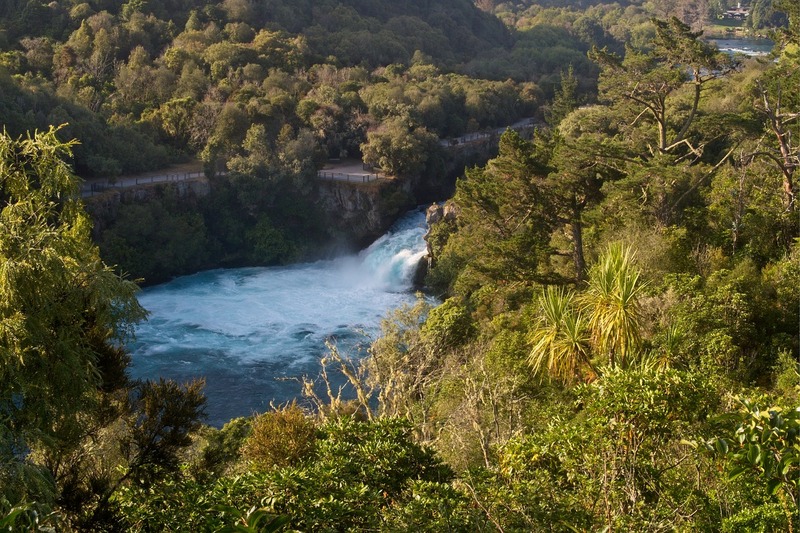 Turangi’s Tongariro River has an enormous population of rainbow and brown trouts, while the nearby Lake Taupo also offers some fine trout angling. Among countless other locations, we’d also highlight the city of Rotorua in the Bay of Plenty region for the year-round trout population in the Ngongotaha River, while the less experienced, more casual fishers will surely enjoy the Motueka River in Nelson/Tasman, with its high population of small-size trout. 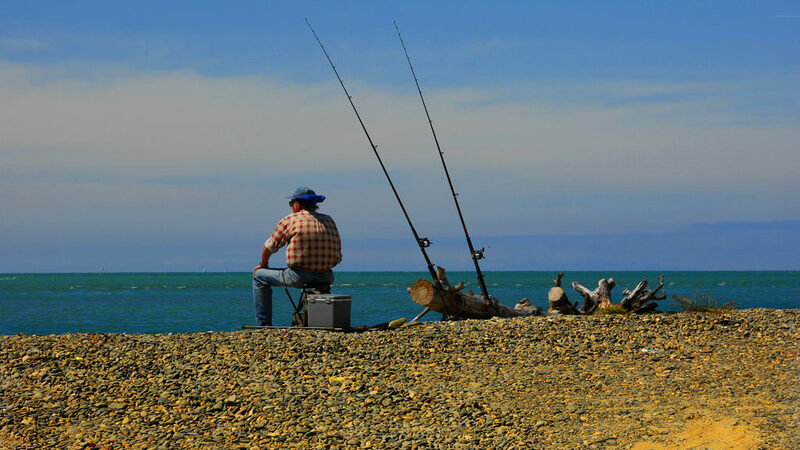 Aside from the gorgeous coastline spanning thousands upon thousands of miles, the greatest thing about saltwater fishing in New Zealand is its all-year-round nature. Yup, there are no seasonal restrictions, and aside from a few restricted areas, you can swing the line almost anywhere and have a good chance of making a catch. New Zealand’s surrounding waters are rich with a wide variety of species, ranging from marlin and broadbill to tuna, various sharks and beyond. If you still can’t decide between shore and boat fishing, Gisborne, Eastland and Coromandel, Waikato have both options on offer. For some prime boat fishing and a chance to catch some mighty fine snapper, marlin fish or kingfish, visit Bay of Islands, Northland or Auckland’s Inner Hauraki Gulf. A more quaint fishing experience of sheltered waters can be found in places such as Dunedin, Otago and the Marlborough Sounds. Before you settle on a location or two, make sure you familiarize yourself with local regulations for any potential restrictions. Certain areas may limit the type, size and amount of fish you can keep, while certain areas are off limits to fishers. Disrespecting these restrictions may result in serious fines and even prosecution, and it is in everyone’s best interest to stay out of trouble. New Zealand provides an abundance of prime fishing options for all levels of fisherman. Choosing only a few among many is a bit of a mission impossible, and you will want to experience as much locations as possible. Explore the locations beforehand, mind the rules, educate yourself on the importance of sustainability and protecting the ecosystem, and don’t forget our tip about finding a free transfer car or a campervan! Happy fishing, anglers!